As widely anticipated, United Kingdom Prime Minister Theresa May lost a key vote on Tuesday in the House of Commons — but what was surprising was by the huge margin with which British parliamentarians rejected the European Union (EU) Withdrawal Agreement negotiation between the May government and Brussels over the past 20 months. 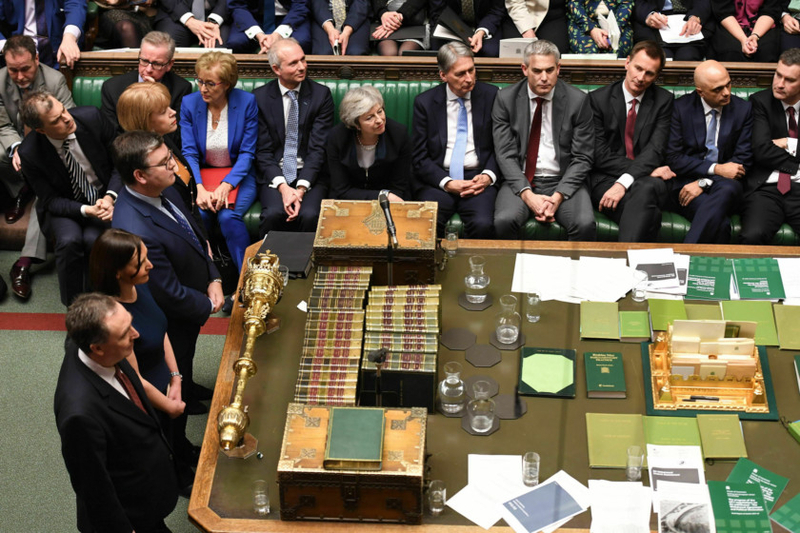 The immediate aftermath was for the main opposition Labour Party to table a vote of no-confidence in May’s Conservative government. That’s a vote she is likely to survive with the support of 10 members of parliament from Northern Ireland’s Democratic Unionist party, MPs who joined with more than 400 others to reject May’s Brexit agreement by a margin of 432 to 202. Tuesday’s vote has now thrown the Brexit process into chaos, and with the UK government scheduled to leave the 28-member political, social and economic bloc on March 29, there are increasing fears that no deal will be in place — a likelihood that would spark economic disruption unparalleled in a peacetime economy. Leaders across the EU have said that the withdrawal agreement rejected by MPs on Tuesday night was their best and final offer, but the inclusion of a future guarantee to keep the UK’s border with the Republic of Ireland open and free of customs and security checks proved to be too much for those opposed to May’s deal. The EU is adamant that must be included in any future agreement, and for that not to happen, the UK must commit to remaining in a Europe-wide customs arrangement that would remove the need for border checks. So, what happens now? In the immediate term, May has until Monday to hold talks with opposition parties to propose a way forward. Certainly, Brussels will be eager to hear what she has to say and what more she wants. But given that the clock is now firmly ticking on that March 29 deadline, senior officials in Brussels are suggesting that maybe the UK should put that deadline on hold, allowing for more time for talks to avoid a no-deal scenario. One complication in all of this is that European Parliament elections are set for the end of May, and with the UK opting out of the EU, it will not take part in that voting. But that new parliament is supposed to start its new term on July 1, offering a small window — a critical three-month extension — that might allow for more talks. That seems to be the only pragmatic way forward now.